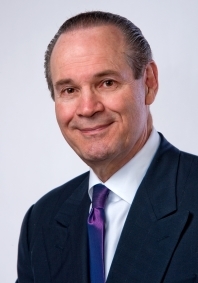 The Institute of Management Consultants USA (IMC USA, www.imcusa.org) is pleased to announce that graduate professor of marketing and business author Dr. Tony Alessandra will provide the opening keynote speech for its annual international consulting conference, "Consult-Con 2018: Fearless Consulting in Disruptive Times" (www.imcusaconference.org). Consult-Con 2018 takes place on October 5-7, 2018, at the San Diego Marriott Mission Hills in San Diego, California. Dr. Alessandra's presentation on Strategic Business Development will teach consultants how to double their apostles (raving fans), consistently exceed client expectations and adjust their selling style to match the client's style. "Dr. Tony is an award-winning speaker who delivers college-level lectures in a comedy store format guaranteed to inform and entertain," says Conference Chair Henry DeVries. "By attending Dr. Tony's keynote, consultants will gain immediately applicable skills to improve their relationships with prospects, customers and co-workers – essential for success in the fast-changing and highly competitive consulting industry." Consult-Con 2018 is a special celebration of IMC USA's 50th Anniversary providing excellence in consulting. It includes three workshops, several breakout sessions, three general sessions, an interactive Q&A session called The Talk Show, networking with other consultants, and exhibits of various technologies, tools and methodologies geared to consultants. Workshops topics include How to Become a Paid Speaker, Professional Development to Increase Credibility and Using Sprints to Innovate and Get Results Faster.